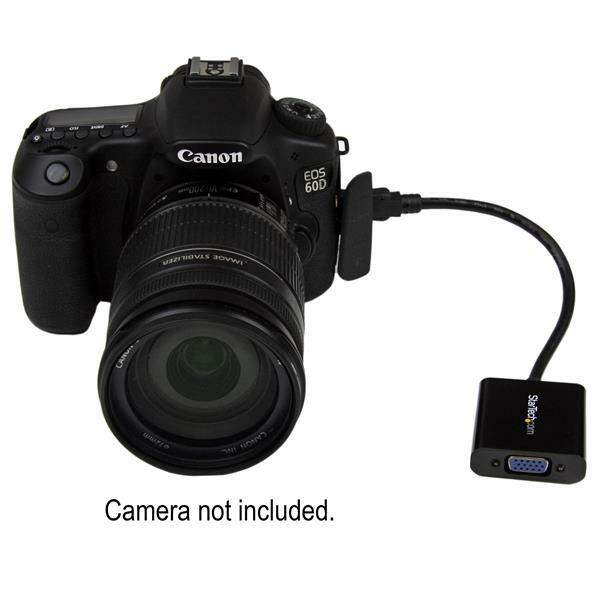 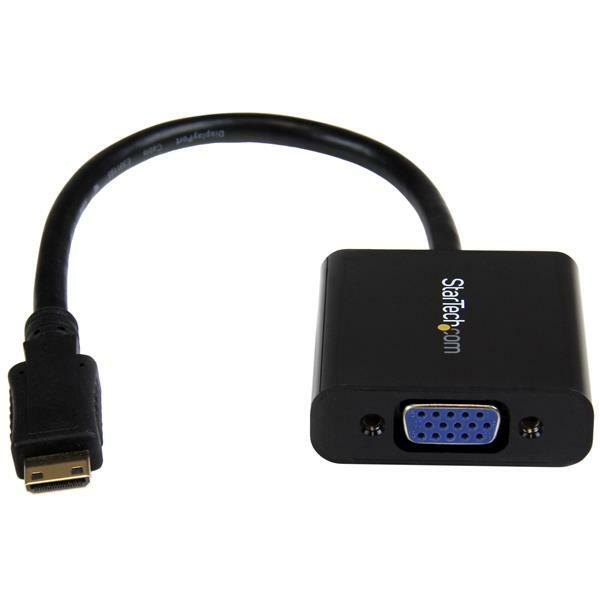 The MNHD2VGAE2 HDMI® Mini HDMI to VGA adapter/converter actively converts an HDMI® Mini source video signal from your digital camera or tablet PC, onto a VGA projector or display. 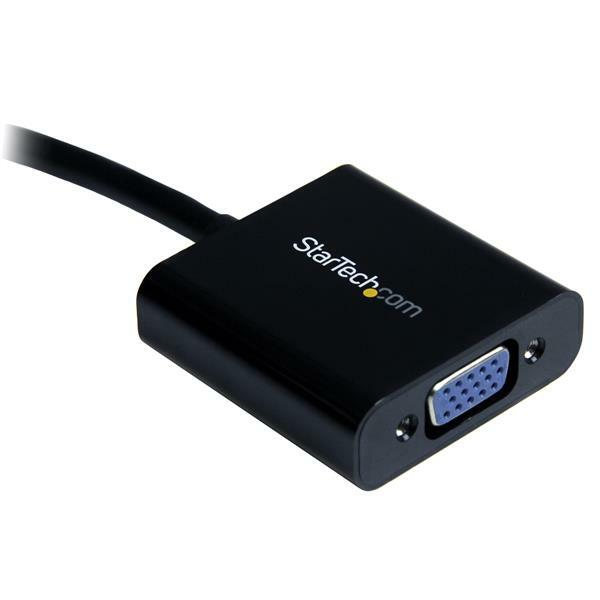 The adapter supports full 1080p resolutions, making it a convenient choice for applications requiring high-definition capability. 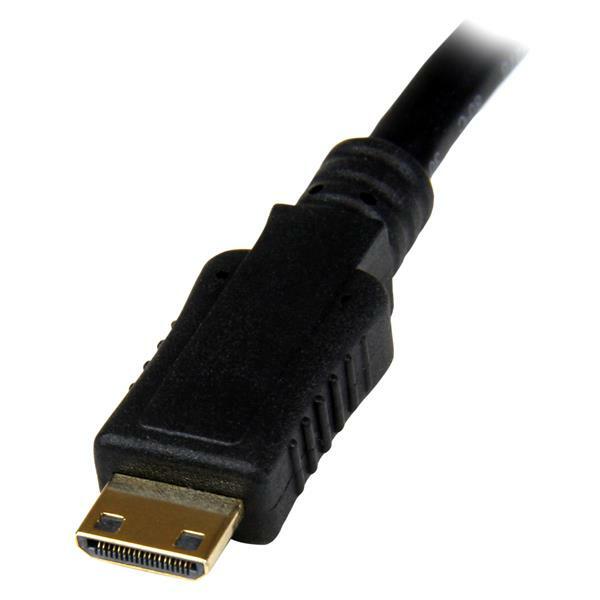 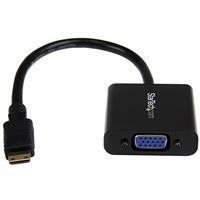 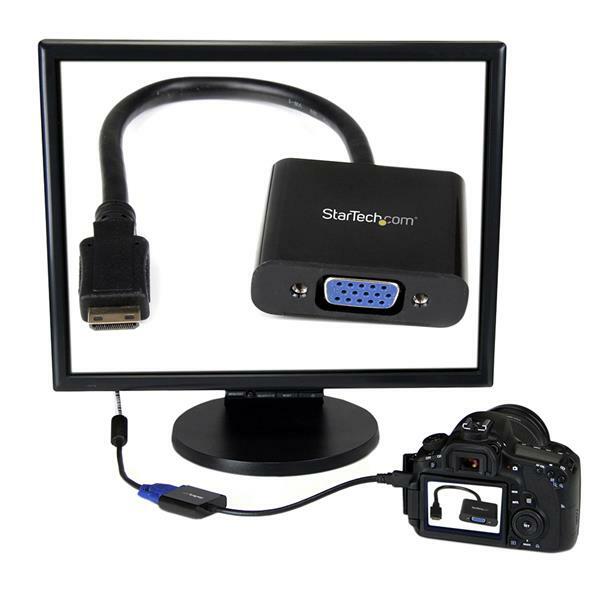 The Mini HDMI to VGA adapter is intended for displaying user generated content such as presentations, documents, and work sheets onto a VGA projector or monitor.